Arkansas Governor Asa Hutchinson signed a bill April 11th to honor civil rights icon Daisy Bates and music legend Johnny Cash with statues at the U.S. Capitol. “We’re especially honored that a statue of my dad has been chosen to represent Arkansas at our Capitol,” said Cash’s daughter, Rosanne Cash…. 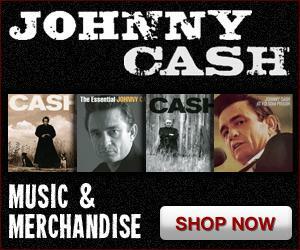 Members of the Cash family, including Johnny Cash’s sister Joanne Cash and brother Tommy Cash, will be among the performers for the 2019 Johnny Cash Heritage Festival, which is Thursday through Saturday, Oct. 17-19, in Dyess, Ark. Pictured here are Tommy, June Carter Cash, Johnny, Roy, Joanne, their father Ray, Reba and Louise. 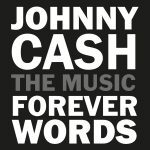 This stirring poem by Johnny Cash was turned into an original song by Jamey Johnson on Johnny Cash: Forever Words. History was made in Memphis on this day in 1956, when Johnny Cash recorded “I Walk The Line” at Sun Studio. 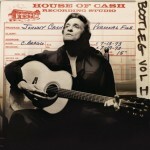 In honor of this milestone, enjoy a listen to Cash’s early demo, cut some time before the historic session. The legendary live version of “Folsom Prison Blues” – recorded at the very prison that inspired it – was released as a single on this day in 1968. 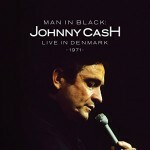 It had always been a staple of Cash’s live sets, as this 1971 performance in Denmark attests. It’s been 50 years since Johnny Cash recorded his live At San Quentin album, which hit #1 on both the Country and Pop album charts and was nominated for Album of the Year at the GRAMMYs. Johnny Cash returns to Folsom Prison in The Gift: The Journey of Johnny Cash, Thom Zimny’s documentary focusing on the icon’s legendary Jan. 13, 1968 visit to the California penitentiary. Rosanne Cash and Marty Stuart will headline the benefit concert at the 2019 Johnny Cash Heritage Festival in the cotton field adjacent to the Cash Boyhood Home in Dyess, Ark. The concert will take place Saturday afternoon, Oct. 19, as the highlight of the three-day festival, which runs Thursday-Saturday, Oct….